Organic gym Biofit, which has been inspired by nature, is hosting a month-long pop-up in January. A pop-up studio will be located in west London from 9 January to 3 February 2017. Group classes, workshops and corporate team-building sessions will be offered at the site, focusing on movement and mobility, strength and stamina and play and fight techniques. 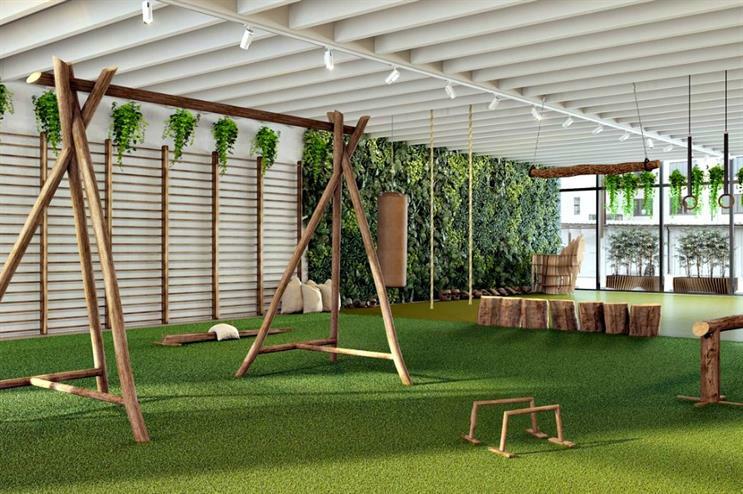 The brand is creating what it calls the world's first 'biophyilic indoor gym'. The interiors of the pop-up have been developed with award-winning landscape architect, Lily Jencks, who created the restorative ‘healing gardens’ for the Maggie’s Centres around the UK. The gym will maximise the positive impact of contact with Vitamin N(ature) through the use of natural vegetation, colours, materials, shapes, scents and sounds. For the duration of the January pop-up, Biofit has commissioned a new research project from the uk active Research Institute. This first-of-its-kind research is aimed at evaluating the impact of exercise in a biophilic indoor environment, on key markers such as mood, anxiety levels, attention span and mental performance. Innocent activated its 'ideas for natural living' marketing strategy this summer for its Coconut Water product. Earlier this year, fitness protein brand Maxinutrition announced plans to launch an outdoor urban gym on the streets of London.